We believe in helping develop the design community in Indianapolis. One of the ways we do this is through our internship program. This past summer, we had the pleasure of bringing on Maria Meschi, a graduate student at the Herron School of Art and Design. Read on to hear about her Collabo experience, in her own words. — Take it, Maria! On my first day as a design intern, Terri (Collabo President and Cofounder) asked me to diverge on my strengths, interests, and projects I would like to tackle during my summer with Collabo Creative. After creating these lists, she directed me to converge on the areas that most interested me and to draw the connections between the tasks and my capabilities. This was my first experience with how designerly skills and methods are woven into every day here at Collabo. I came to the design world on a zigzagging path that wove through event management, theatrical experiences (on- and off-stage), and marketing. I began the MFA program in Visual Communication Design at Herron School of Art and Design in the fall of 2017. I was attracted to the creative and collaborative nature of the design process, and have found it, in practice, to be well-aligned with my preferences and strengths. My typical week at Collabo began with the entire staff gathering on Tuesday mornings to share something personal about the previous weekend as well as a discussion of the primary focus and tasks for the week. 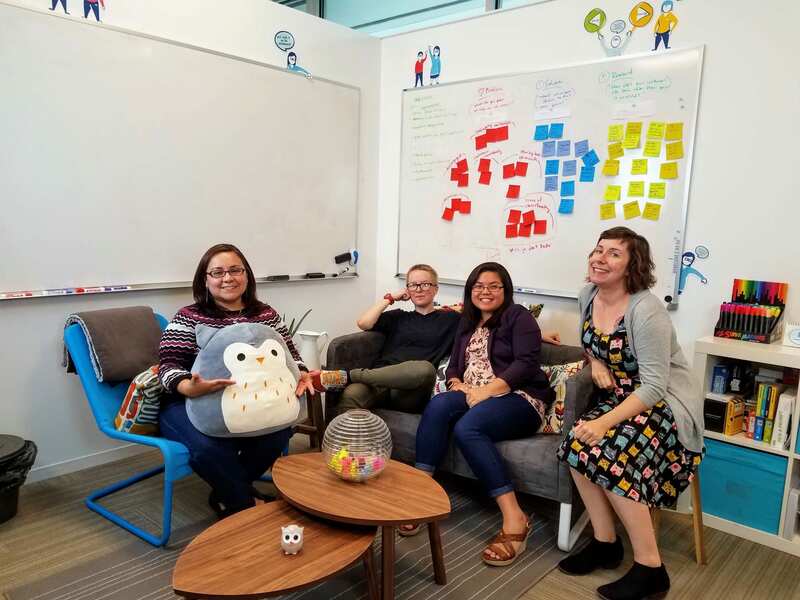 Each Thursday, the staff spent an hour together for DBT (Designing Better Together), which could include a design method, an activity, or a discussion of books and articles related to design and other relevant concepts. Throughout the week, we held impromptu sessions to diverge and converge on content for projects, like the curriculum of the Design Thinking Everyday Jumpstart, create prototypes for clients, and provide insights at each stage of a project’s development. Through these activities, Collabo has cultivated an inclusive environment. We are encouraged to bring our whole selves to the office, and everyone’s ideas are valued. 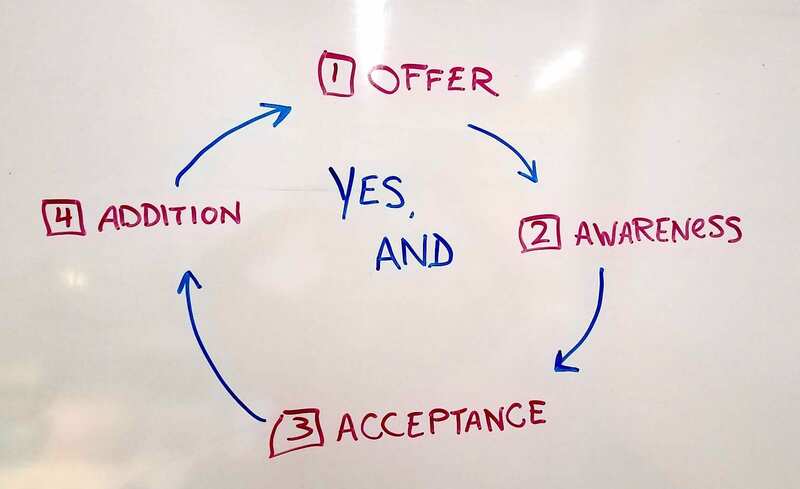 It reminds me of the “Yes, And” cycle¹ I practice in my role as an improviser with CSz Indianapolis. An offer (in most cases, an idea) is made, the others in the conversation listen, accept, and then build upon the idea. When I was asked on my first day about the projects I most wanted to impact, I identified a need in my skillset to gain more experience in how the design process works outside of the classroom. I also sensed that I could bring my marketing and event expertise to Collabo and help the company focus and enhance their communications and workshops. With Terri’s agreement, we set goals to launch the Design Thinking Everyday Jumpstart program (check!) and to build a more robust website (check!) and social media presence for the company (yeah!). As I reflect on my summer internship, I’m struck by how fortunate I am to have spent time with an organization and group of women who are willing to both instruct me in the way they use the design process as well as to let me instruct them in the areas of my expertise. As designers, we are taught that everyone’s perspective is valued and has something to contribute. In practice, however, I have found that even design-oriented groups defer to hierarchy and “we’ve always done it this way” thinking when the pressure is on, often to their own detriment.  This is not the case with my experience at Collabo, they are truly a design thinking company that walks the talk. 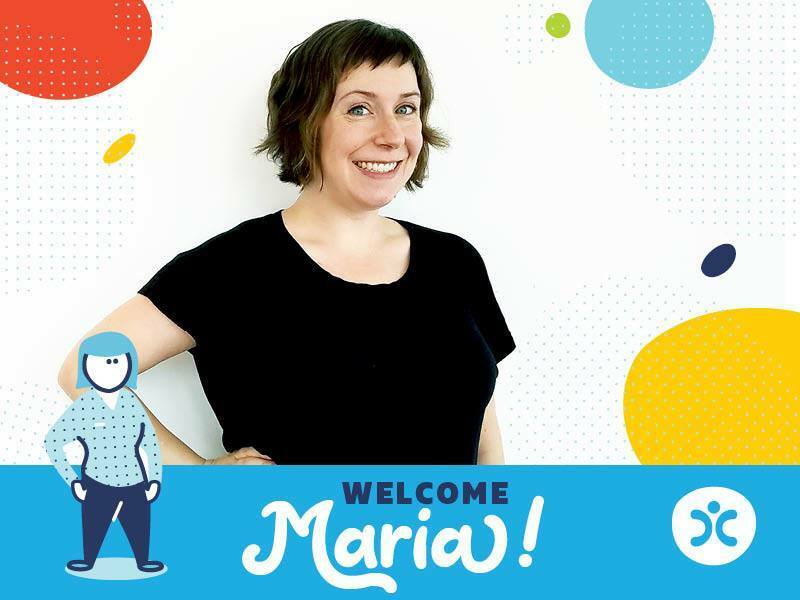 I’m so thrilled that I have been asked to remain with Collabo part-time to continue my work with our communications and practice my design facilitation skills. I look forward to more opportunities to learn and grow with this company.